QOCA are design consultants for the Cool Venues group, which is aiming to deliver low cost, highly energy efficient ice sports facilities to multiple sites in England & Scotland. The first of these Cool Venues ice rinks is currently being constructed in Cambridge and is due to be completed in early 2019. The 3250 sqm facility houses a 56 x 26m ice pad, with 4 changerooms, a cafe, offices and seating for 350+ spectators. 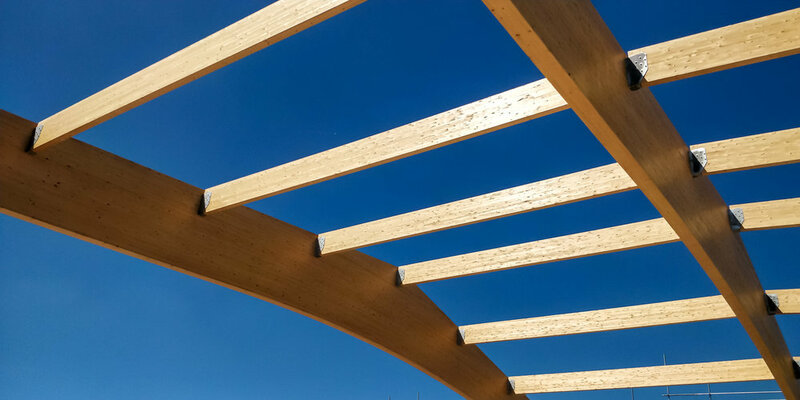 The building is a hybrid steel and glulam frame construction with a cross laminated timber (CLT) roof and a highly insulated steel SIPS panel facade. This construction technique is on course to deliver the most energy efficient ice sports facility in the United Kingdom. The rink is perfectly located on the eastern edge of the city, immediately adjacent to the Newmarket Road Park and Ride facility, providing parking and bus links directly to the city centre, as well as linking into the city through the local cycling network.